Thank you for replying to my earlier question about The Crash & No Bid. It as very insightful towards the mechanics of markets. 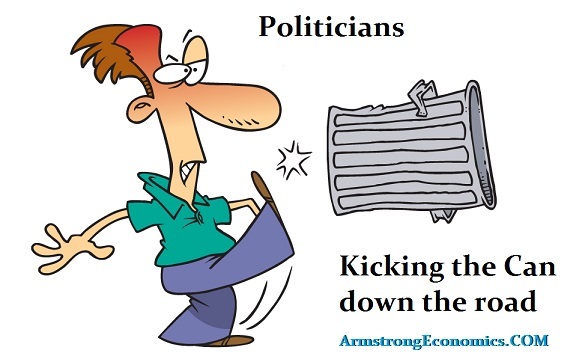 I have a new question for you regarding how Politicians “kick the can” as long as they can expecting the next people in line to pick up the tab… and never pay! I was told by my uncle that the reason why politicians were lowering interest rates was so that they could keep increasing their perpetual deficit. But- since we have hit the turning point in interest rates and that rates are on the rise do you foresee politicians promoting hyper-inflation while fixing payable amounts on things like “pensions”? I believe that if they can dilute / water down money through inflation that the pension funds would then appear to “be on budget” (kicking the can further down the road, and also creating civil unrest)? ANSWER: I completely understand that from the outside looking in, it appears that the politicians are kicking the can down the road because they KNOW what will happen. It also appears that they have created lower interest rates to allow them to reduce their borrowing costs and spend more. I hate to burst everyone’s bubble here, but the truth is MUCH WORSE. All of these assumptions and conspiracy theories are based upon the common foundation that they PRESUME the politicians even understand what they are doing. They are NOT that intelligent. Sorry! Politicians have absolutely ZERO perspectives on the future. They assume that whatever trend is in motion, will remain in motion. When I have been in meetings around the world and asked about the policy of borrowing year after year with no intention of paying anything back, I get the blank stare as their eyes glaze over. I then point out again, there is absolutely no plan to ever pay down even a small portion of the national debt. I then state you do know you cannot keep borrowing like this forever? I follow this up with the question, you do know that at some point you will not be able to see public debt? That finally gets the response! Yes, a company or individual cannot do that, but we are the government. They actually believe their own lies. They believe that their debt is AAA and people will buy it forever above all else no matter what they do. When I say that have never been the historical case, I get the classic statement – this time it’s different! The lower rates have been maintained by7 the central banks. But the Fed is caught between a rock and a hard-headed place called Congress. The Fed cannot control long-term rates. The best they can do is try to “influence” long-term rates and they did that by buying in 30-year bonds. The understands that the lower rates are undermining the pension system. 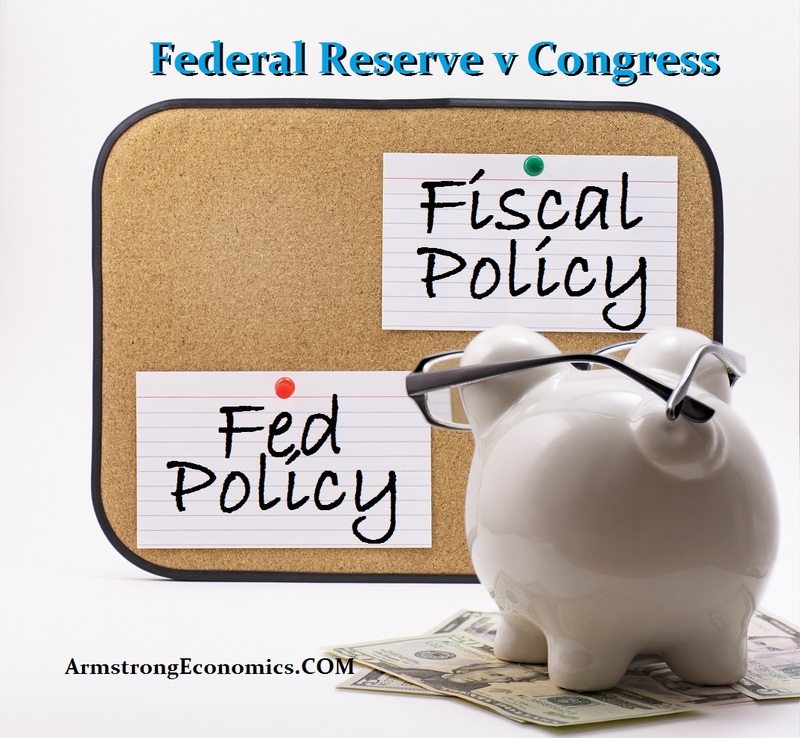 It may be helping government spend more, but politicians control fiscal policy and the central bank controls only monetary policy. No central bank can stabilize the fiscal spending. Therefore, this will simply erupt like a financial volcano and that is when my phone turns red hot. All of a sudden, the screams all sound the same. You can tell them this will happen. Nobody will risk their career to prevent a crisis. They love the crisis for they then promise to always get the guy that caused it even when it is them. There are no mirrors. They simply blame people in the private sector every single time.